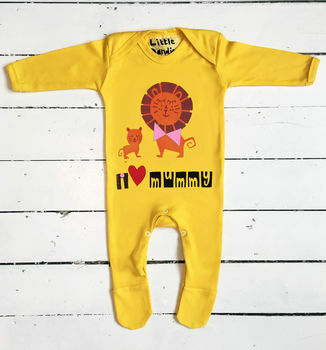 I Love Mummy Babygrow. 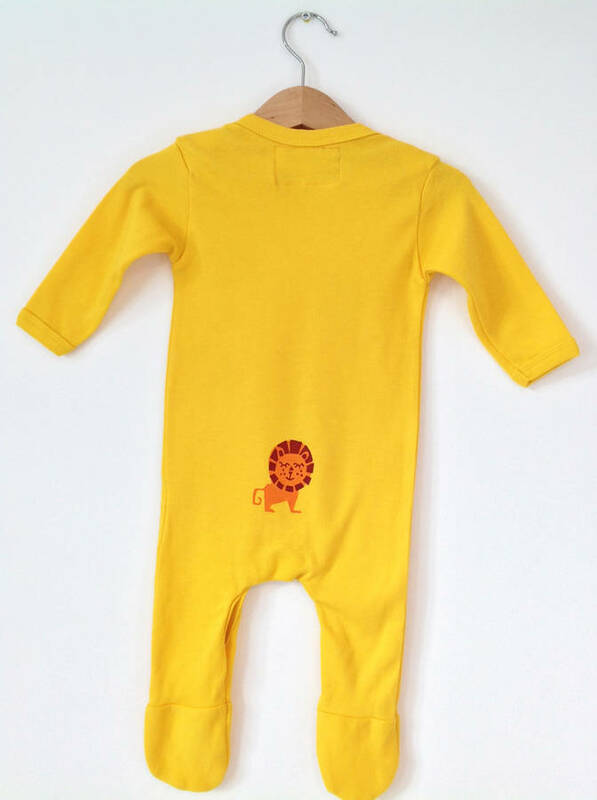 A funky brightly coloured special Mother's Day lion print babygrow in sunflower yellow. Perfect first mother's day present! 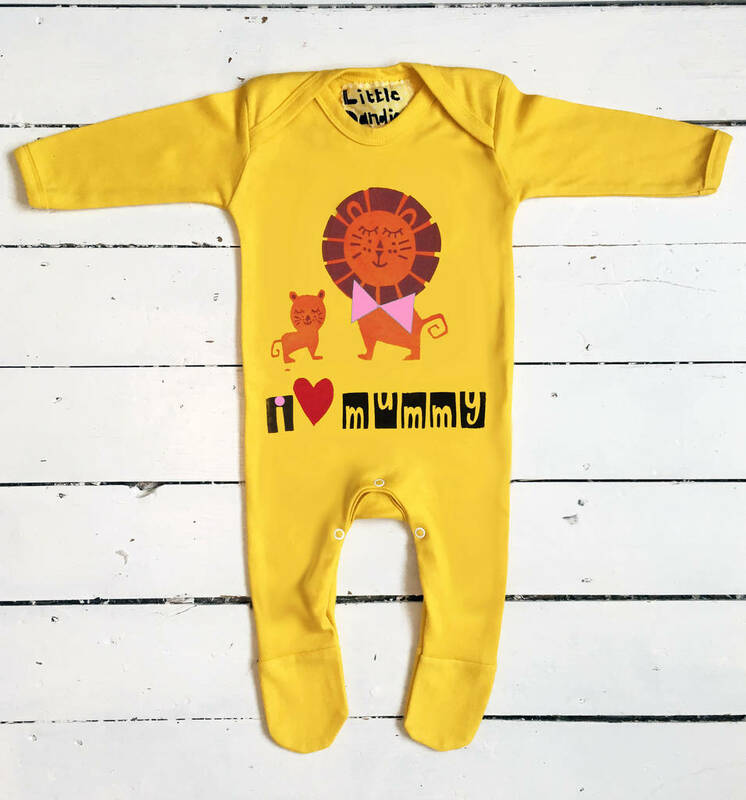 This I Love Mummy babygrow features a handprinted lion and baby cub, with the words 'I love mummy' and a cheeky lion on the bottom. The perfect first mother's day present from baby! This Little Dandies babygrow is a really fun and unique present for a newborn and a great present for a new mum. 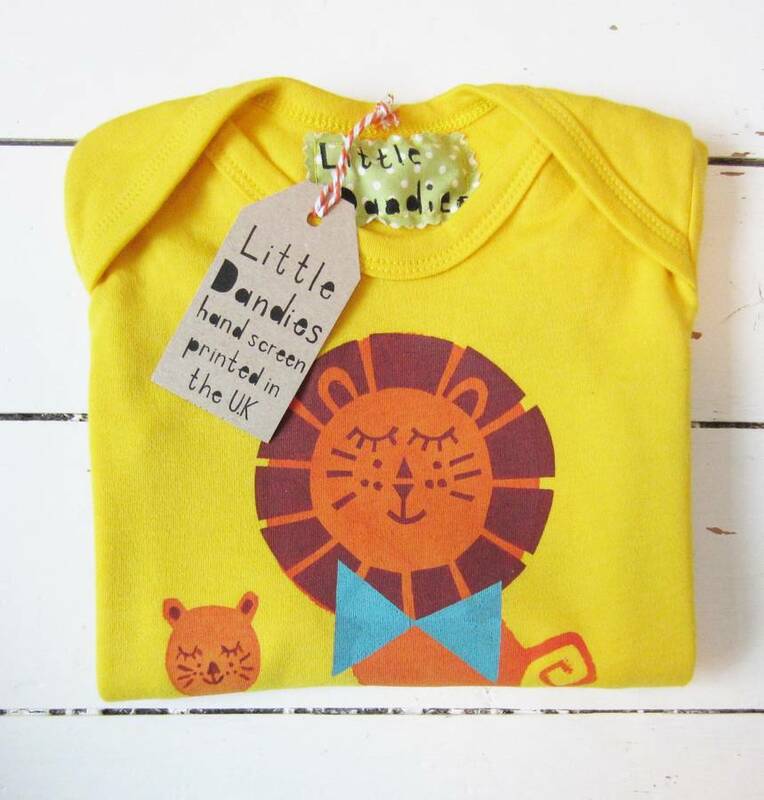 All Little Dandies products are handprinted. This could mean slight colour variation or placement of image. We feel this is part of their quirky uniqueness! We try our best to make our colours as accurate as possible, but our website images are intended only as a guide.